How can teachers improve student learning in undergraduate science, technology, engineering, and mathematics (STEM) courses? 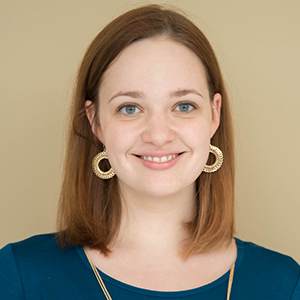 To find out, Ivana Milanovic, a professor at the University of Hartford, developed a simulation-based approach that combines problem-based learning (PBL) and inquiry-based learning (IBL). 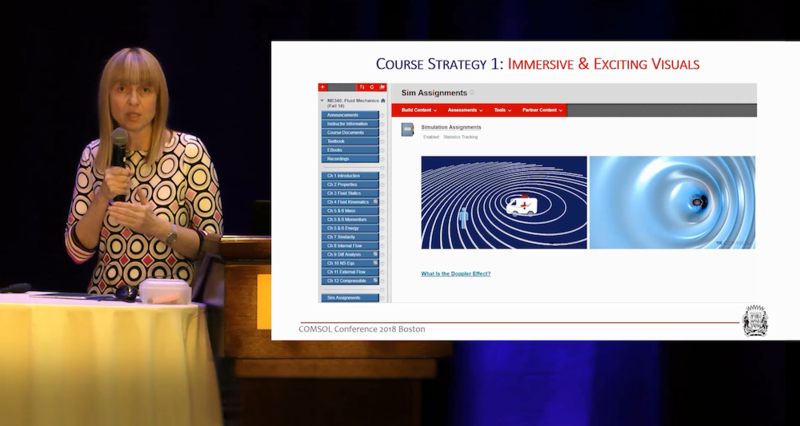 Milanovic discussed her strategy and its benefits during her keynote talk at the COMSOL Conference 2018 Boston. Below, you can find a summary and video recording of her presentation. Professor Ivana Milanovic said that overcoming challenges in education has historically been about “making small changes to teaching methods and in our curriculum.” For example, engineering courses (particularly for undergraduates) are typically lecture- and problem-based, with labs providing hands-on experience. A learning style called IBL, which helps students to develop their practical and intellectual skills for the real world, is mainly an extracurricular activity. Milanovic found this situation to be less than ideal, as only the most engaged students tend to take advantage of these IBL opportunities. Milanovic’s strategy focuses on “outside-of-class learning” and incorporates four key parts. The first is having interesting images and animations, both inside and outside of the classroom. Images help students stay engaged, enabling them to visualize effects (like the Doppler effect) that can be hard to picture. Second is creating an enhanced online environment, which includes both the visuals mentioned above and outside resources like blog posts and videos. Milanovic stated that “if you make [the online environment] more exciting, then you will deliver more outside of the classroom.” The enhancements also provide students with access to better (and more) information, which helps lighten the load on professors during their office hours. The third part of Milanovic’s strategy is making simulation and applications the “new homework.” The simulations start out simple but gain complexity as students become more familiar with the COMSOL Multiphysics® software. For instance, in Milanovic’s course on heat transfer, an initial problem might be to simulate 2D conduction. After a month, students are able to use the simulation software to understand the “physics behind any project they’re doing, and they are able to build [applications]” (e.g., of transient conduction). Milanovic also created her own grading rubric, which includes a section for IBL that similarly increases in difficulty as the course goes on. The fourth step is promoting more research, which includes both PBL and IBL problems. A simple example is having students visualize the flow past a cylinder in order to better understand how and when to use the drag force curve. Milanovic said that she previously had to use visuals from all different sources, but now, students can get consistent-looking results by creating simulation applications. After building an application, the students can investigate how various Reynolds numbers impact the flow. By incorporating simulation into the course curricula through this four-step process, Milanovic is bringing IBL and PBL to every student. They can then use their experience with simulation and applications to solve real-world problems. For more details on her method, as well as its benefits for STEM education, check out the video at the top of this post.